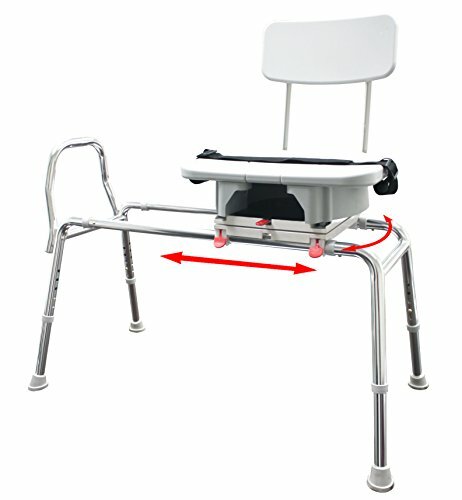 Seat Height: 21.75" - 26"
Back Height from Floor: 35.5" - 40"
High weight capacity (300 lbs). Seat glides over polished, high-strength, rust-proof, lightweight aluminum tubes. Wide replaceable cut-out and large space underneath the seat allow for easy patient care or personal cleaning.